Why it's good to be a member! 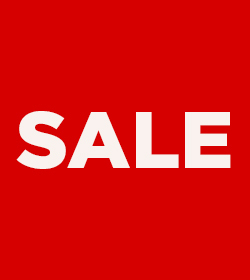 5% discount on purchases every day, including select course materials. Our largest benefit to our owners, designed to reduce the cost of textbooks and course materials for students and faculty at UT Austin. From free food to giveaways to first access to exclusive items, get more as a member. Watch your email for details! All University Co-op profits are returned to students, faculty, and staff in the form of gifts, grants, and awards. Learn more. +I forgot to add my member discount to my online purchase at checkout! If you checked out in store, please return the items to the store to get a refund. +Do I have to be a member to shop at the Co-op? No! The Co-op is open to everyone, but only members receive member pricing and member discounts. +Who is eligible to be a member? 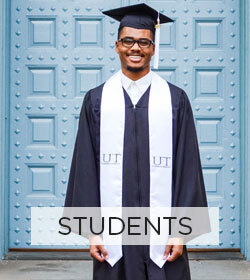 The Co-op is a not for profit organization owned by students, faculty and staff at UT Austin. Those owners (all current students, faculty, and staff at the University of Texas at Austin) are eligible for a free membership. 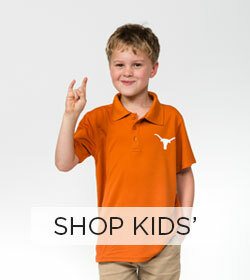 Additionally, the Co-op extends membership to Lifetime Longhorns (who received a Lifetime Longhorn discount from the Co-op), current Texas Parents Association Four Year members, and Texas Exes Members are also eligible for a free membership. Members receive 5% discount on all purchases (including textbooks!) with limited exclusions. Members also have access to periodic member only sales and events. You can sign up through the form on the Sign In page on our website. You’ll be asked to verify your status, with either: a valid UT ID number (the digits above the barcode), a Texas Exes Life Member Number, a Texas Parents Association ID Number, or a Lifetime Longhorn ID Number. Members can also sign up to activate a free membership by showing valid ID (listed above) at any register. Annual memberships can also be purchased in store. +Do I have to sign up again online if I created an account in store? Member accounts created in store are available online, but members will have to establish a password to access their account. If your account was created in store, please use same email address to activate the "forgot password" link to set up your online account access. +Do I get a membership card? Online, access your member discount by logging into your account. +How do I get my member discount? In store, you’ll need to show your UT ID, Texas Exes Life Member ID, Texas Parents ID, or Lifetime Longhorn ID or provide you name and/or phone number or email to pull up your account. Online, you’ll need to sign in to your account and then use the member coupon code that is available at universitycoop.com/membership. Members must be logged in to access the discount code. +What is excluded from my membership discount? Limited exclusions apply and are subject to change. No member discounts will apply to: Yeti, Peter Millar, Vineyard Vines, Tommy Bahama, Victoria’s Secret PINK, Purchases on partner websites, including M. LaHart and Bed Bath + Beyond, Select Digital Items (which may include Access codes and e-books), Limited edition items, including select Limited Edition Nike shoes. Special Order items. • Doctoral PURCHASES except during the limited sale period each season. • Special ordered regalia items, such as honor cords. • Orders placed thru our partner sites including Signature Announcements and Church Hill Classic. The member discount may not be combined with any other discounts or offers, including Employee Discount, Texas Exes Chapter discounts, or Friends of the Co-op discounts. Member discount exclusions may be changed at any time without notice. +Can someone else use my member discount? No. Only members can use their member discount. Misuse of membership can lead to cancellation of the membership. The Membership program is intended for personal use only. Commercial use is prohibited. 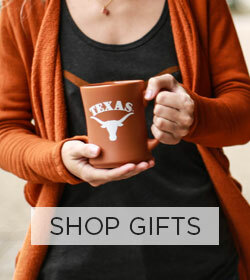 Membership is one way in which the Co-op endeavors to support student success by providing a discount on purchases at the Co-op for participating groups, which include: Co-op’s owners; students, faculty, and staff of the University of Texas at Austin (“Owners”). Membership is also extended to partner organizations on the basis of agreements with those organizations to extend the Membership benefit to their members (“Partners”). The Co-op may also sell annual Membership for a fee, which extends Membership benefits to someone who may not an Owner or Partner. These Members are Paid Members (“Paid Members”). The Member discount may be available for use on purchases both on-line and in store. Due to system requirements, vendor agreements, or other reasons, there may be a difference in the discount percentage, availability, exclusions, and requirements for in-store and online purchases. 1. In store, sign up for a member account. • Customers may be asked to provide proof that they are members of a participating group, such as a UT ID, membership card, or similar identification. 2. Online, create a member account. • Members must be logged in as a member to be able to apply member discount codes to their shopping carts. In either case, the registration process may require that you provide the following information: username, password, email address, and ID number or identification establishing your relationship with the participating groups. Valid and current status as a member of a Participating group is a requirement for Membership. The Co-op will request that members re-establish their member accounts each year on or around the anniversary of their account. While status as a current member of the Participating Group is required to use the member discount, it does not guarantee or entitle someone to the Member discount at the Co-op. Membership is a Co-op program and may be discontinued, changed, or terminated at any time. The benefit of the Member program is a purchase discount on eligible items at the Co-op. Both the discount amount and the eligible items are subject to change at any time and without notification. The Co-op may offer special offers to Members that may have different requirements for usage (for example, members may not need to be logged in or use a discount code for the offer). These Terms are to operate in tandem with any Promotional or Discount exclusions and Terms and Conditions. In the event of any conflict between these Terms, specific item or promotions Terms and Conditions control. The Co-op reserves the right to terminate, discontinue or cancel the Membership program at any time and in its sole discretion without notice to you.